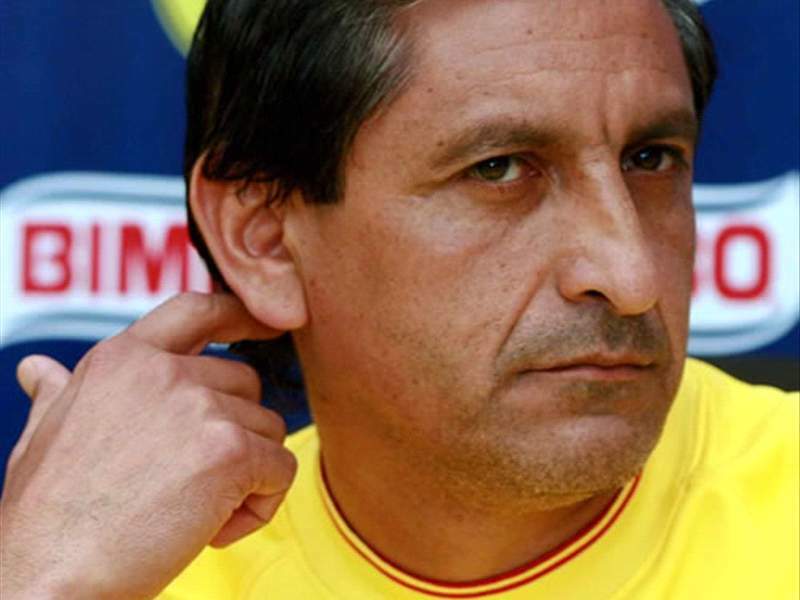 After two consecutive league losses, Club America sacked coach Ramon Angel Diaz on Tuesday. Two days after a rough 3-1 loss to Pachuca, Club America responded by sacking coach Ramon Angel Diaz. Four games into the Clausura 2009 season, America are 1-2-1. las Aguilas won their first game this year, a 2-1 decision over Santos, but squandered a lead in a 2-2 home tie against Toluca before losing consecutive games at Morelia (1-0) and Pachuca. Overall, Diaz finished his tenure with a 6-8-7 record. * America failed to reach Copa Libertadores. With a win over Atlas in their final InterLiga match, America would have advanced to a final and could have reached the South American tournament with a victory against Pachuca. Instead, America suffered a disastrous 4-1 loss to Atlas when anything short of a three-goal loss would have seen America through to the final. * No playoffs in the Apertura 2008 season. The bottom fell out on America during the Clausura '08 campaign (league-worst 3-12-2 record) and Diaz was given the task of taking America back to respectability. That did not happen as the club missed the Liguilla for the third consecutive campaign. * The season may be young but America invested heavily in offseason reinforcements, including Pavel Pardo, Edgar Castillo and Juan Carlos Valenzuela. That the team is struggling made it more difficult to leave him aboard. "Unfortunately, results have not been what we expected," Club President Michel Bauer said in a press conference. "As I've said before, the important things are victories and reaching the playoffs." Since the start of the Apertura 2007 season - which coincided with Cuauhtemoc Blanco's exodus to Major League Soccer - Diaz is the fourth coach to lose his post with the club. A replacement was not named and Bauer declined to take questions from reporters. America visits Jaguares Saturday before returning home to face Atlas on Feb. 22.